I just found a hilarious tale about my mother (in L. Lee Cowan’s Except for All the Snakes, I just Love It Out Here: The News from Stone County, Arkansas, Where One Life is Put Down Straight Up, p. 120). According to this published account, I was four years old when her battle to kill an armadillo entered family legend. As you can see below, Mom credits both my sister and myself with keeping the story alive over the years. A good family friend, Bruce, played a key role in bridging the gap between my mother and L. Lee Cowan, the author of the book in which this was published. It’s an amazing thing to have found. If you like this excerpt (shown below), please buy the book, as I have done. Soon, the Arkansas Democrat-Gazette will run my mother’s obituary. However, it would not be right for me to allow the obituary they print to be her only one. Mom’s name when she was born, on January 4, 1942, was Mina Jo Austin. Later, she was known professionally as Mina Marsh. However, I chose to legally change my last name to her maiden name, in 1989, after my parents divorced. I did this so that I could have a last name I associated only with my good parent, for I only had one — the one now in this hospice room with me, as I write this, with little time remaining to her. 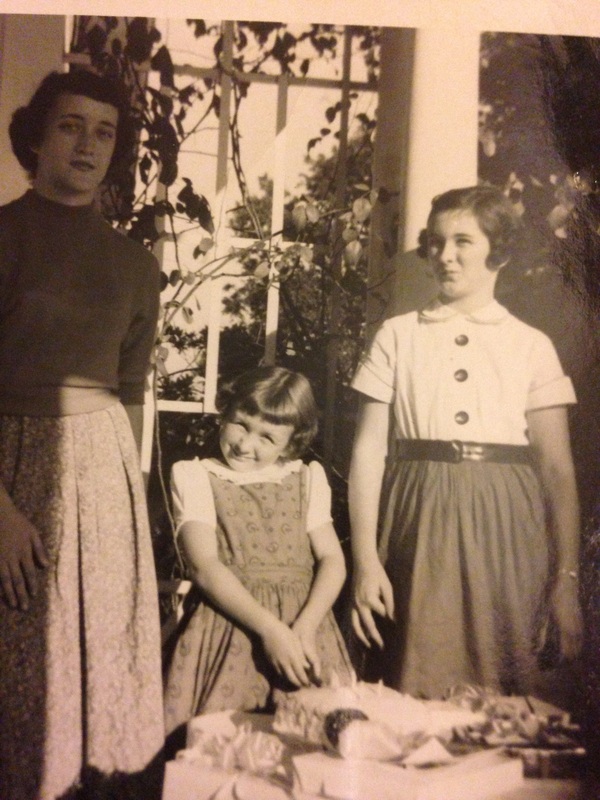 This is an old photograph of her, and her two younger sisters, taken when my mother was a teenager. Her father, whom I knew (all too briefly) as “Daddy Buck,” taught her many things, very early in life, just as Mom did, much later, for me. He taught her about justice, and its opposite, using as one example of injustice the internment camps for Japanese-Americans which were then operating, here in Arkansas, when my mother was a little girl. Even in the wake of Pearl Harbor, and in complete disagreement with the masses, my grandfather thought it an obscenity that people had been herded into these camps simply because of their ethnicity, and, in a world where evil does exist, he decided his daughter needed to know about it. Only with knowledge of evil can one stand up to it, oppose it, and speak truth to it, even when that evil is mixed with power, as happens all too often. He instilled in her a strong sense of justice, and taught her courage, at the same time. Mom started college at Harding University, in Searcy, Arkansas, and demonstrated her courage, and refusal to tolerate injustice, there, during the 1960 presidential election campaign. The assembled students of Harding were told, in chapel, that it was their duty, as Christians, to go forth on election day, and cast their votes for Richard Nixon, because allowing John F. Kennedy, a Catholic, to become president would be a horrible, sinful thing to do. She found this offensive, in much the same way that her father had found America’s treatment of Japanese-Americans offensive during World War II. On principle, therefore, she withdrew from Harding, and transferred to the University of Arkansas (in Fayetteville) to complete her college coursework. She also, later, left the denomination associated with Harding, eventually becoming a member of the Episcopal Church. I am grateful to her church here in Fayetteville, Arkansas, for the many comforts they have given her over the years. They even went so far as to raise the funds needed, in 2010, for her emergency transportation, by air, to a Mayo Clinic in Minnesota, where surgery was performed to save her from a rare adrenal-gland tumor called a pheochromocytoma. Without this help from them, her life would have been shortened by over five years. Mom is survived by two children. I came along in 1968, and my sister (who had three children herself — my mother’s three grandchildren) was born the following year. Mom is also survived by three step-grandchildren, and two step-great-grandchildren. Mom began to teach both my sister and myself, as early as she could, what her father had taught her, early in life. Strangely enough, one of my earliest memories of her doing this also involved Richard Nixon, for the first news event I clearly remember seeing on television was Nixon’s 1974 resignation speech. At that young age, and with my parents clearly disgusted with America’s most disgraced president to date, I blurted forth, “I wish he was dead!” Mom wasn’t about to let that pass without comment, and did not. I remember the lesson she taught me quite well: there was nothing wrong with wishing for him to lose his position of power, as he was doing — but to wish for the man to die was to cross a line that should not be crossed. One was right; the other was wrong. It is my mother who taught me how to distinguish right from wrong. From this point forward, I now have a new reason to try, in every situation, to do the right thing: anything less would dishonor my mother’s memory. It was around this time that my sister and I started school, and to say Mom was deeply involved in our experiences at school would be to understate the issue. In a conservative state where many schools openly (and illegally) do such insane things as teach young-earth Creationism in “science” classes, and anti-intellectualism is sometimes actually seen as a virtue, our entry into the school system was not unlike entering a battleground. At this time, education specifically designed for gifted and talented students simply did not exist in Arkansas. Mom had already had some teaching experience herself, although she had since moved on to other work. She was often appalled by the inane things that happened in our schools, when we were students, such as this from the fifth grade, and this (also from elementary school), and this especially-awful example from the seventh grade. Never one to tolerate injustice, Mom was deeply involved, from the beginning, in the formation of an organization called AGATE (Arkansans for Gifted and Talented Education), which fought a long, uphill, but ultimately successful battle to bring special programs for the education of gifted and talented students into the public schools of our state. She did this for her own two children, true — I consider forcing someone (who already understands it) to “practice” long division, year after year, to be a form of torture, and she was trying to save me from such torture — but she also did it for thousands of other Arkansas students, and tens of thousands have since benefited from her work in this area. Mom was never content to fight in just one struggle at a time, for there is too much important work to do for such an approach. 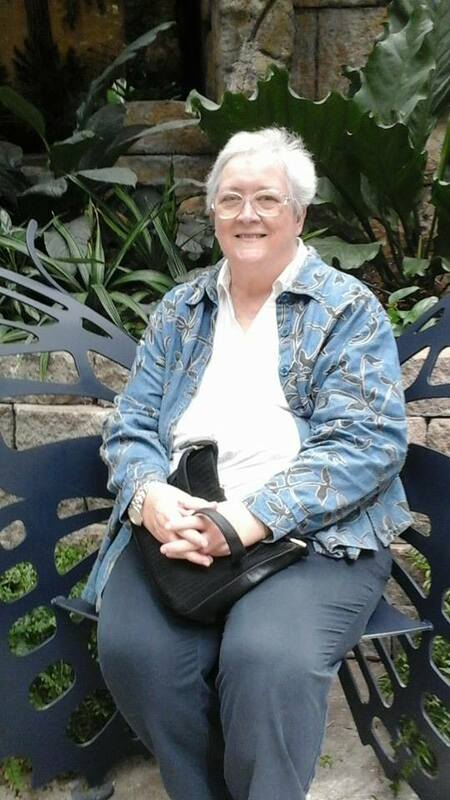 She was also a dedicated naturalist, a Master Gardener, and served as the Deputy Director of the Arkansas Natural Heritage Commission for 25 years, seeking ways to protect and preserve areas of natural beauty, and scientific significance, in our state. After retiring from that position, she later served on the board of directors of the Botanical Garden of the Ozarks, and also became the Development Director of the Ozark Natural Science Center. My mother affected the lives of a great many people in her 73 years of life, including many who do not even know her name — but neither gaining credit, nor fame, was ever her goal. She will be deeply missed. Definition of catbouncemax (shortened form of “maximum catbounce”): for any particular cat, its catbouncemax is equal to the takeoff kinetic energy of that cat if it suddenly and unexpectedly finds itself face-to-face with an adult copperhead snake. I’ve actually seen this happen. Really. The cat reached a height I estimate as 1.4 meters. Measured in joules, a cat’s catbouncemax can most easily be approximated by observing and estimating the maximum height of the cat under these conditions. For ethical and safety reasons, of course, one must simply be observant, and wait for this to happen. Deliberately introducing cats and copperheads (or other dangerous animals) to each other is specifically NOT recommended. Staying away from copperheads, on the other hand, IS recommended. Good science requires patience! 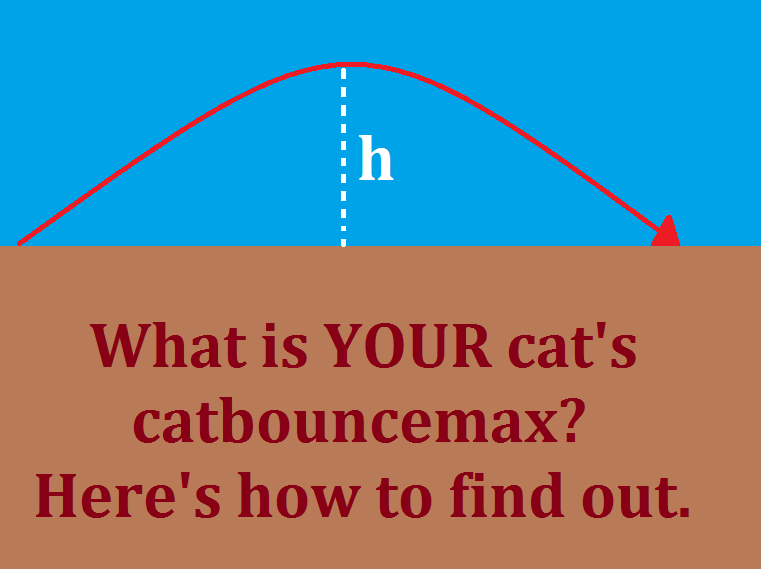 It should be noted that the horizontal distance covered by a catbounce is not needed to calculate a cat’s catbouncemax. 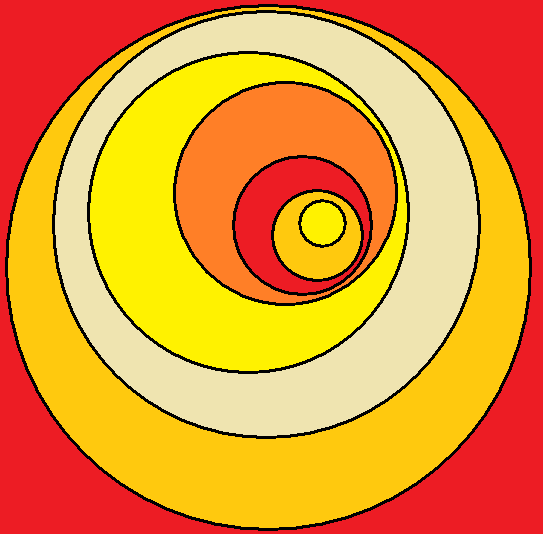 However, this horizontal distance will not be zero, as is apparent in the diagram above. Why? Simple: cats don’t jump straight up in reaction to copperheads, for they are smart enough not to want to fall right back down on top of such a snake. She: Did you see that cat jump?!? He: Yep! Must be something scary, over there in that there flowerpatch, for Cinnamon to jump that high. At least I know it’s not a copperhead, though. She: A copperhead? How do you know that? He: Oh, that was quite a jump, dear, but a real copperhead would give that cat of yours an even higher catbounce than that! The catbounce we just saw was no more than 75% of Cinnamon’s catbouncemax, and that’s being generous. She: Well, what IS in the flowerpatch? Something sure scared poor Cinnamon! Go check, please, would you? He: [Walks over from the front porch, where the couple has been standing this whole time, toward the flowerpatch. Once he gets half-way there, he stops abruptly, and shouts.] Holy %$#@! That’s the biggest centipede I’ve ever seen! She: KILL IT! KILL IT NOW! Warning: to avoid serious risk of major depression, read no further during May of any year, if trapped in Arkansas with little or no hope of quick escape. Tonight: so hot you won’t be able to sleep, because you’ll stick to your bedsheets! The day after tomorrow: hot! Three to six days from now: hot! Each day! A week from now: hot! Next week: hot! All week long! The remainder of the month: hot! Next month (if it’s June or July now): hotter than this month! The month after that (if it’s June now): hotter than it is right now! Next month (if it’s August now): hot for weeks, turning to only-slightly miserable later in September. Maybe.